Let's recap: Over seven seasons, *Lady* Sansa Stark matured from an entitled ~little girl~ to a total badass (remember when Ramsay's dogs feasted on him and she just walked away with a smirk???). And after everything she's been through, people refuse to believe that she'll hand over her home to Dany just like that! First, did she really mean it? Give Winterfell to Dany? After everything she went through?! Maybe she got distracted by Dany's fashion choices. Maybe Sansa was just being hospitable. Filipino moms will approve. LOL at "She has pretty hair and I gave our reign to her." You know nothing, Jon Snow. But maybe it's not Dany's fault. 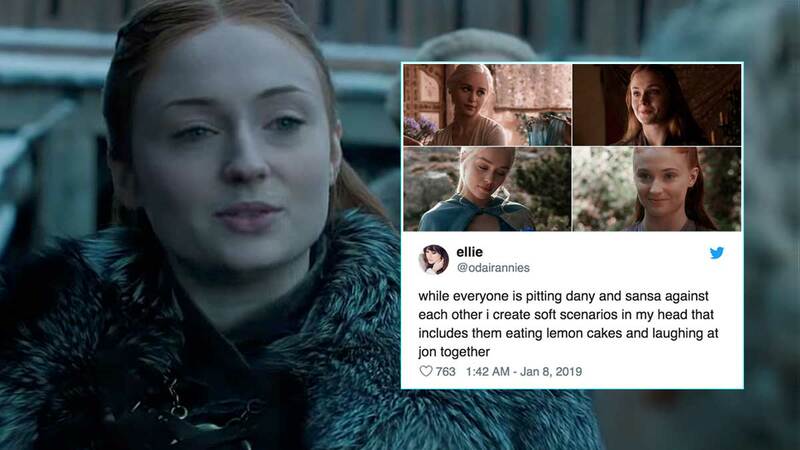 Why are we pitting her and Sansa against each other??? No hate, just love for this Twitter user. Game of Thrones' much-awaited final season will premiere in April, and while there are only six episodes, each one could be as long as a movie. OMG.